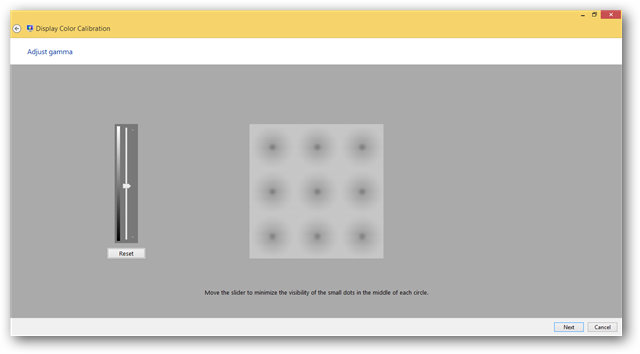 Windows 8 has a variety of hidden tools that most users have no clue exist. When you first buy a PC or monitor, the screen itself comes out of the box with factory settings, it’s not calibrated for its best performance. 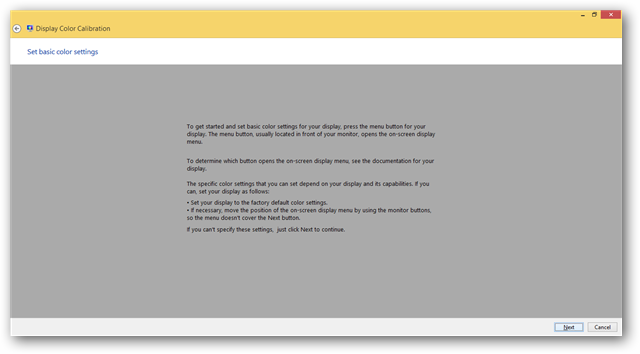 Windows 8 has a built-in calibration tool to help get your monitor to the best possible display with your current setup. 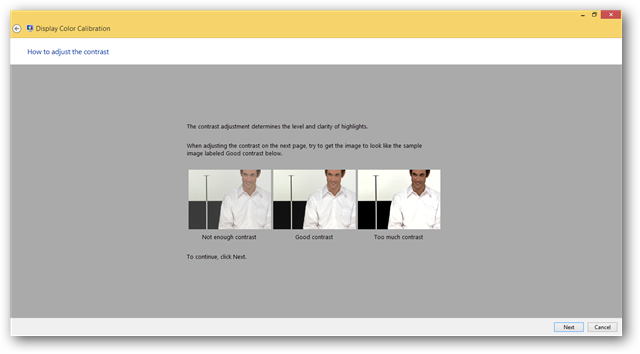 We’re looking at how to calibrate your display in Windows 8. 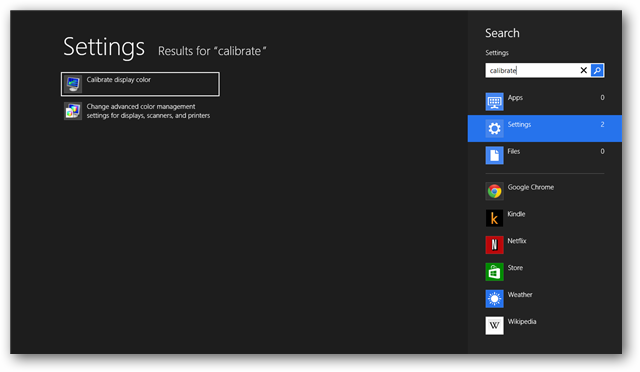 Type “Calibrate” from the Start screen. 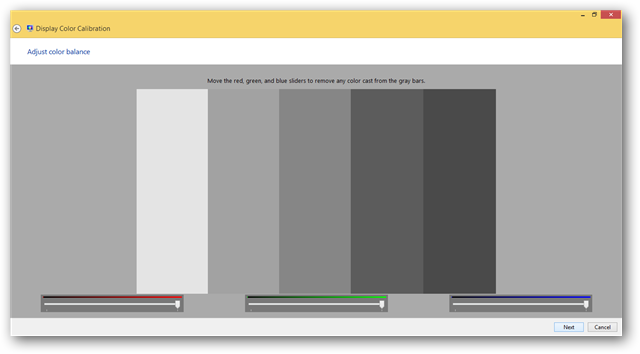 This will open the Display Color Calibration for Windows 8. Click “Next” to start the process. The first calibration deals with gamma. Gamma is the dynamic between reds, blues, and greens. 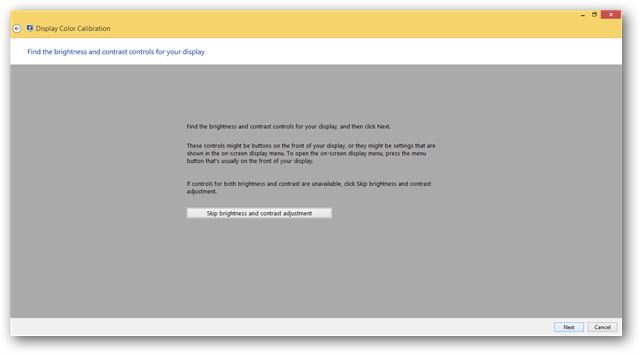 Next up, Windows 8 will calibrate your brightness and contrast settings. 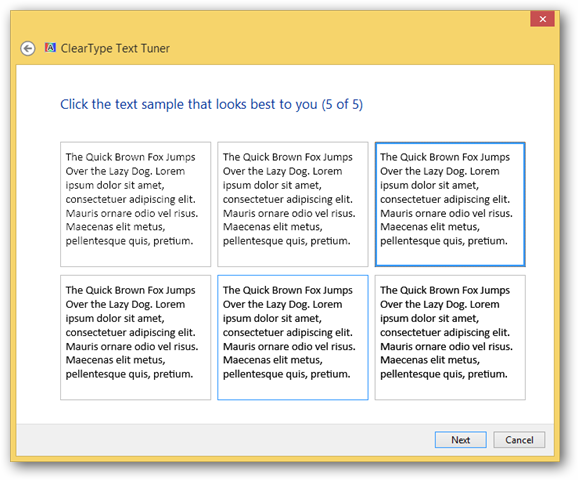 Most users are familiar with changing these because they do it directly from their monitor. 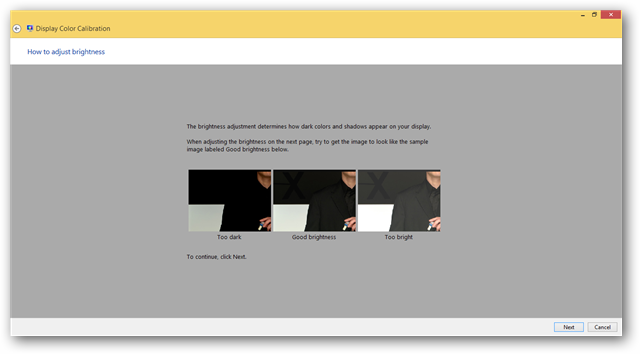 However, this is not the most optimal way to configure your brightness and contrast. Again, you’ll be given an idea of what proper brightness is. 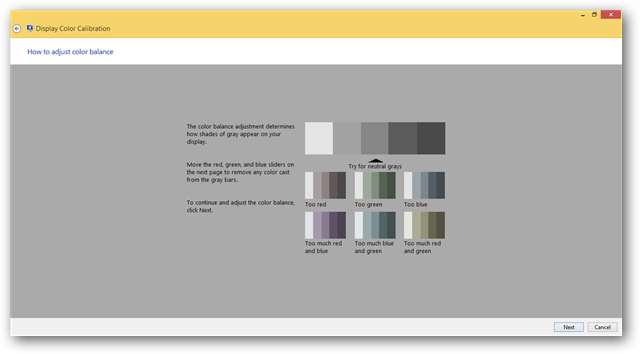 Once more, you’ll use your display controls to adjust the contrast to the optimal levels. Click “Next” when finished. 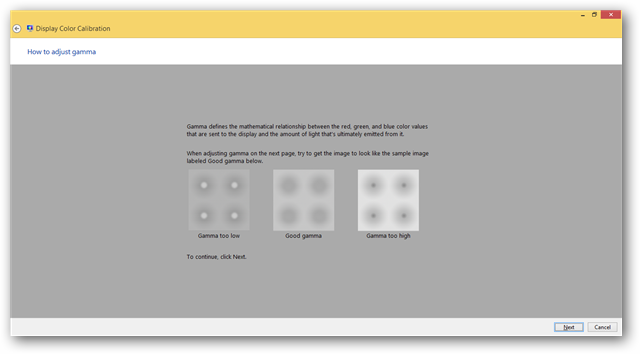 The next step in calibrating your display is working with your color balance. 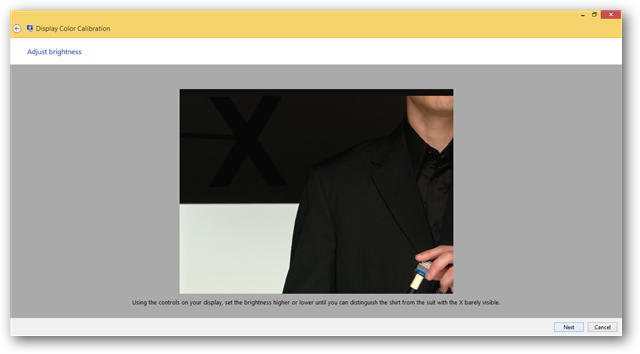 You’re given examples of what proper color balance is. This is one area of calibrating a display most users have no idea how off things are until they do a full calibration. 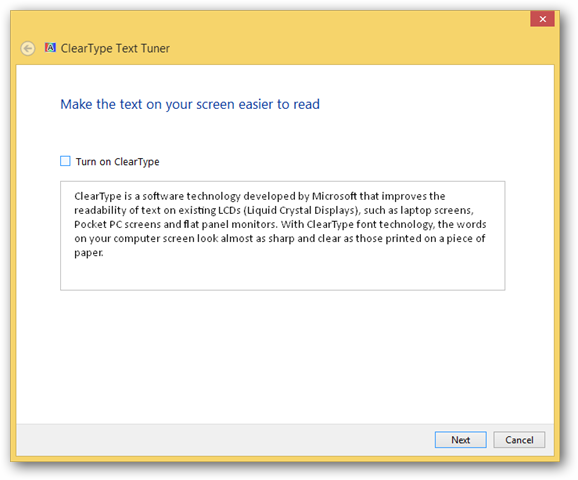 The next part of calibration on your display in Windows 8 works with your fonts. You can toggle the ClearType option on and off to see what works best. Click “Next” to go on. 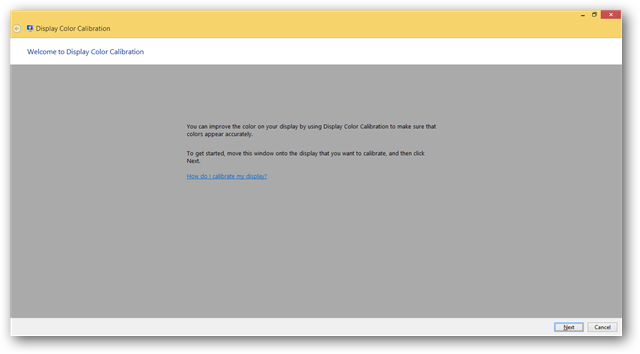 You’ve now calibrated your display in Windows 8. 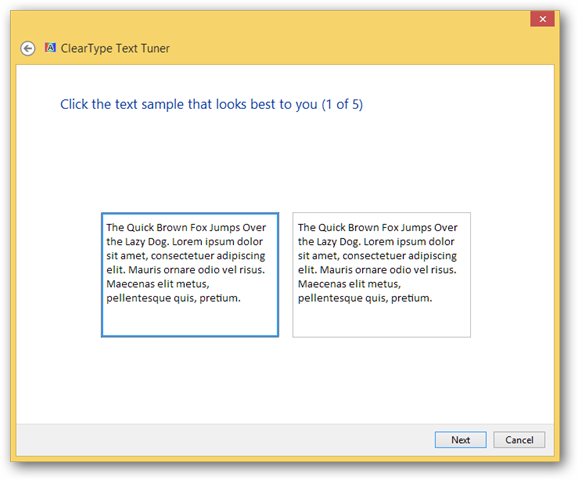 How often should you calibrate your display in Windows 8? Whenever you get a new PC, you should calibrate your display. Any time you update your video drivers, you should calibrate. As you can see, it doesn’t take too long to calibrate your display, it’s something you should do whenever you think something might be off. 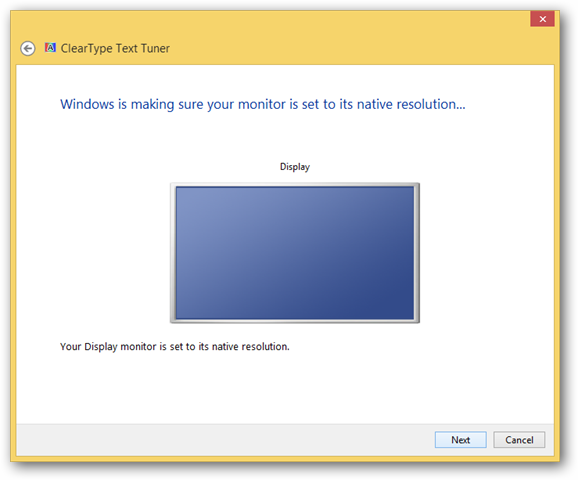 Calibrating your display is easy to do in Windows 8 and an effective way to get the most out or your monitors.